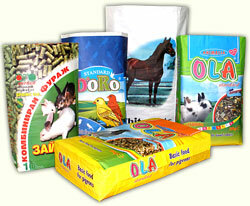 Paper sacks are traditional packaging for bulk products in the industry. They are strong, easy to fill and transport and meet all ecological standards thanks to their high level of decomposition in the nature. 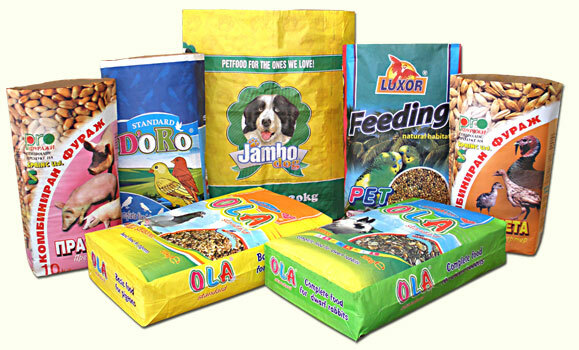 Paper sacks are used for packaging bulk food products, in agriculture - fodder and pet foods, in chemical industry, building, for coal packaging and wherever needed to allow the product to breathe through the packaging. They are traditionally made of several sheets of paper but for the purpose of reducing the costs for packaging, one-wall sacks made of very strong paper are increasingly used. We manufacture two-wall and three-wall open mouth paper sacks for bulk products with high quality full-color offset and flexo print in short and medium series: 1,000 to 20,000 pieces, wet-insulated and oil resistant paper sacks for food industry, paper sacks for chemical industry, flour paper sacks, coal paper sacks, pet food paper sacks, sunflower seed paper sacks, etc.